Call for art and arts disciplines featuring works created to heal and transform. Have you ever created art that helped you through a difficult time? Do you own art that was created and proved to be therapeutic for a friend or family member? 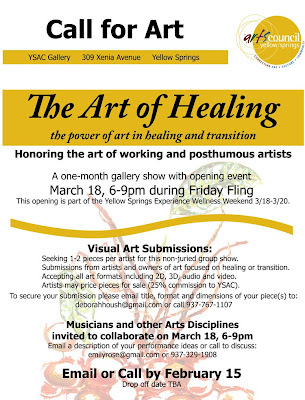 The Yellow Springs Experience Wellness weekend will pay tribute to the Art of Healing. 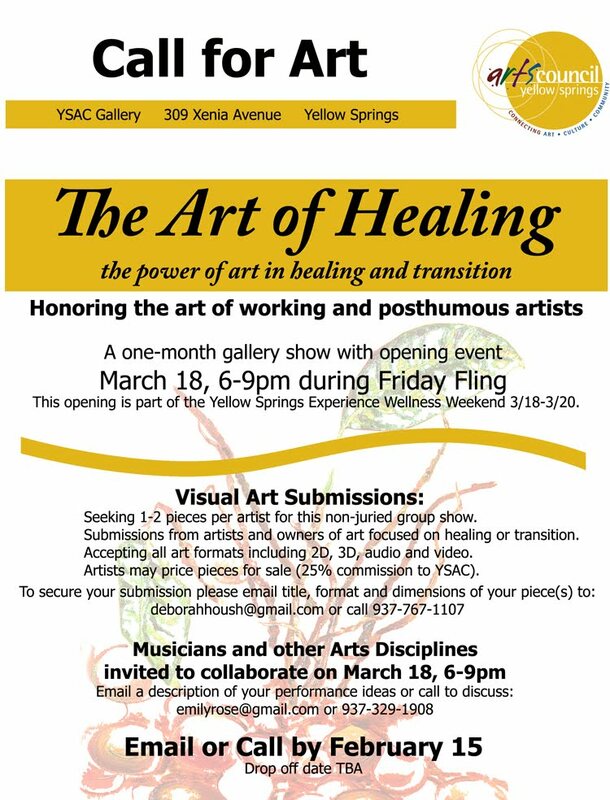 See poster for details and visit www.yellow-springs-experience.org for proposal info. Local and out-of-town artists welcome!